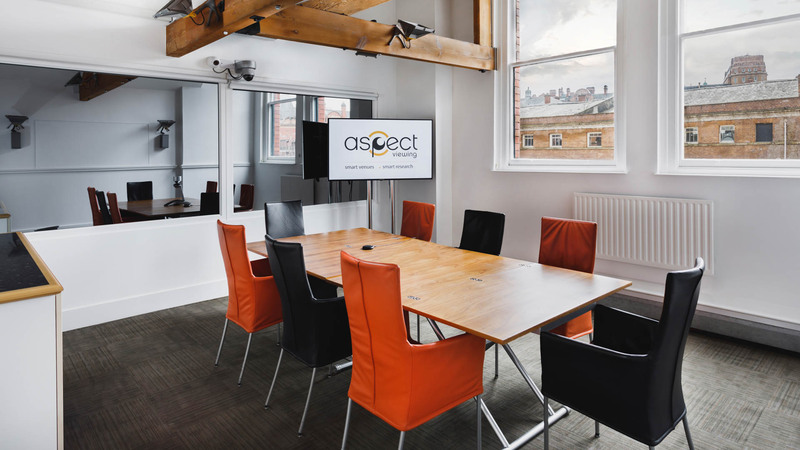 Aspect Manchester is a contemporary and vibrant venue, reflecting the multicultural location of the city centre. 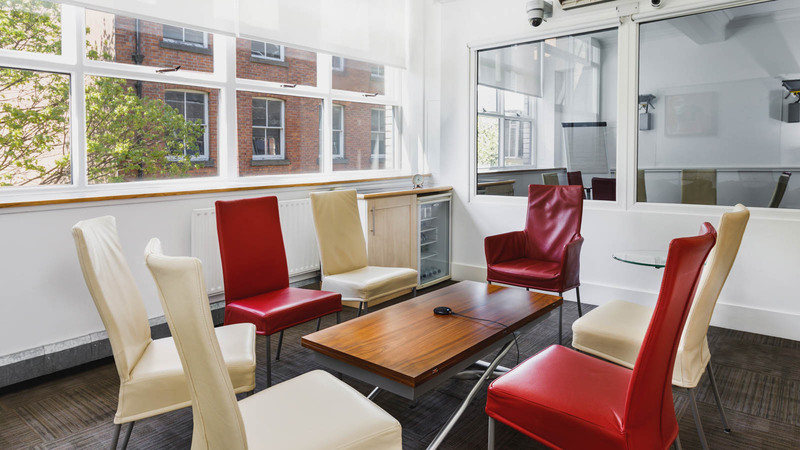 Our three studios are complete with the latest audio/visual recording technology, designed to enhance your research experience and ensure that not one moment of valuable insight is missed. 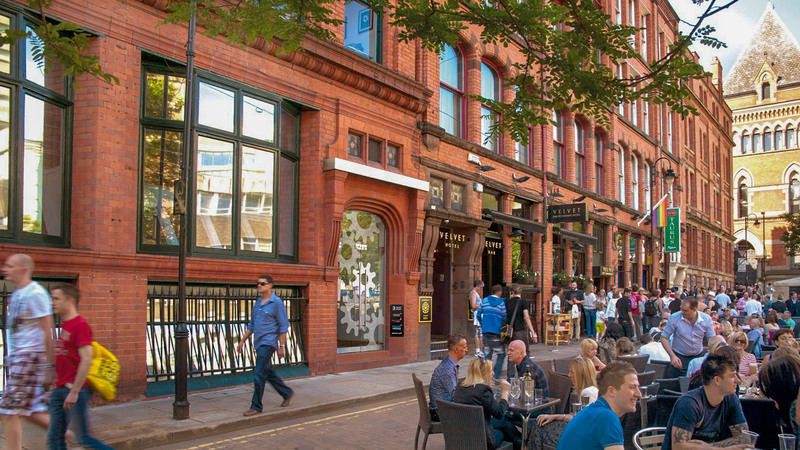 Located just three minutes away from Manchester Piccadilly train station, the area around Aspect Manchester is known for its diverse community with bars, Michelin starred restaurants and busy shopping districts, all on the doorstep of our central viewing facility. 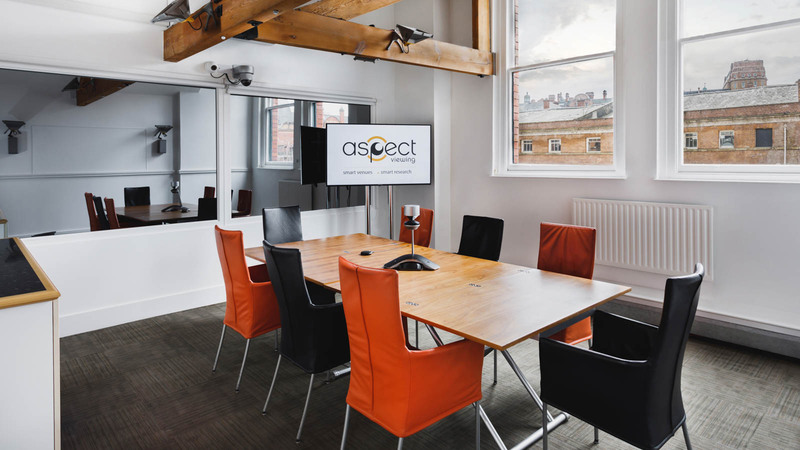 The space in Aspect Manchester expertly combines stylish décor with outstanding research services to provide an award winning service throughout. Situated on Canal Street in the heart of Manchester city centre, Aspect is an ideal location with a number of different transport options. Manchester Piccadilly train station is just three minutes’ walk from Aspect with frequent services to London and all major cities arriving regularly throughout the day. Only 12km away from Aspect, Manchester Airport is major transport hub with regular flights from Europe and other major international destinations. The airport is connected to Manchester Piccadilly with direct trains and trams running throughout the day and evening. There are a number of car parks in close proximity to Aspect in Manchester with easy access to the M56 and M60 for people driving either from the South or the North. Full details and directions can be downloaded here. Manchester offers some outstanding accommodation for our visitors so whether you’re looking for yourself or for clients you really will be spoilt for choice. 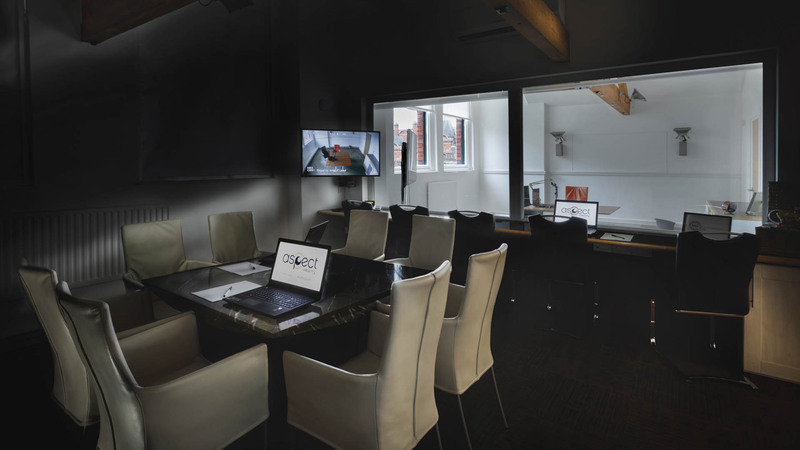 We are also able to offer corporate rates for many of these venues so if you are considering staying in Manchester during your time with us, contact our team to find out what corporate rates may be available to you. This recently renovated venue offers a boutique experience with designer rooms and suites with a bar and restaurant which offers Michelin star food as part of the Marco Pierre White chophouse. 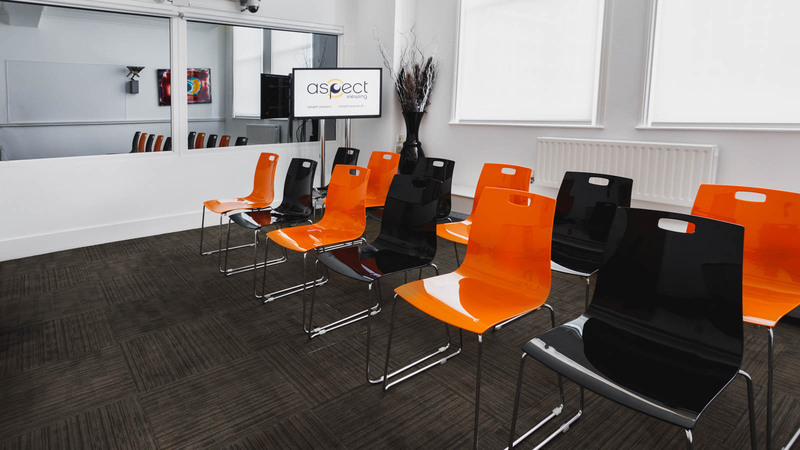 Located just next door to Aspect in Manchester, this is an exceptionally convenient hotel with stunning facilities. Less than 100 metres from Aspect Manchester is The Double Tree by Hilton. It comes highly recommended and is convenient for people travelling by train due to its close proximity to Manchester Piccadilly. It is also within a short distance from Manchester’s main business districts and the shopping areas of the city centre. ABode Manchester is located in the very heart of the city, just minutes from bustling Piccadilly and Aspect. This Grade II listed hotel retains the period features of the building which are enhanced and complemented by ABode’s understated modern British style; comfort and luxury. 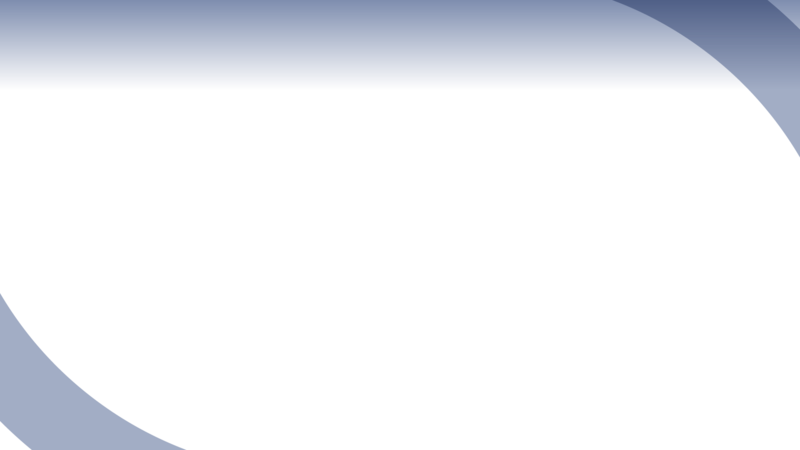 There are a number of major shopping areas in and around Manchester which attract large numbers of people from the local area as well as further afield. With a wide array of well-known brands and independent retailers, there’s something for all tastes. This iconic shopping complex is located on market street with all the recognisable high street retailers maintaining a presence. Recent development work has seen the area rejuvenated attracting lots of visitors seeking a bit of retail therapy. Just a short distance from Market Street is King Street which has many of the designer brands that can be found in most international cities, appealing to those who have a taste for high end labels and brands who are known for their luxury products. This well-known shopping centre is less than 30 minutes from the city centre with direct public transport and parking at the site. It houses many of the popular high street brands along with designer labels in addition to bars, restaurants and a cinema which brings visitors from far and wide. Manchester has a wide and varied cultural scene; renowned for its music, nightlife and attractions which cater to all tastes. This part of the city centre has long been associated with the independent spirit that Manchester is known for. Still today it provides visitors with an eclectic array of independent shops, bars and restaurants and is a popular place for people who are seeking something with its own unique flair. Manchester has a number of venues for live performances with the Royal Exchange, Home and the Lowry Theatre who offer a wide variety of their own productions mixed with touring shows. Manchester is also home to the world renowned Halle Orchestra who perform orchestral music as well as numerous operas throughout the season. There is also the Palace Theatre which takes on many of the touring West-end productions from London. Many people will know of Manchester because its two most famous teams; Manchester City and Manchester United. Whichever team you support it’s always worth visiting their grounds either to watch a match or just take a tour. We also have a strong connection with British cycling with the velodrome located close to the city centre. You can see some of the world’s best known acts and artists in Manchester thanks to the wide variety of concert venues the city has to offer. From the largest, the Etihad stadium and the Manchester Arena, to some smaller venues, like Gorilla and Band On The Wall, there are always places to go for music lovers, whatever your taste. At Aspect we pride ourselves on offering only the finest catering which is why we have a combined offer of our own in-house menu options, which can be tailored to your specific needs, in addition to having established partnerships with some outstanding local restaurants. Itsu’s ‘eat beautiful’ celebrates the amazing flavours of the Far East – high in nutrients yet refreshingly low in calories and saturated fat. Combining carefully-sourced, extremely fresh produce with 100% prime Scotch Beef, Handmade Burger Co are the best burgers in town. Velvet dips into an amazing range of cuisines to form a menu that is simply moreish. From warm steak & blue cheese salad to burgers, pizza and fried chicken, there is something for everyone. An eclectic menu from the Michelin star chef, this recent addition to the Manchester restaurant scene has already proven to be popular and, as it’s located next door to Aspect, it couldn’t be any more convenient. Simple food made exceptionally well and served in a beautiful setting. The Grill on New York Street is a frequent favourite in Manchester and somewhere that we would highly recommend. Catering for vegans, vegetarians and those who are just looking for something slightly different, 1847 – Manchester is the perfect choice. Their menu is based on seasonal, locally sourced produce and they also run a popular monthly jazz night.